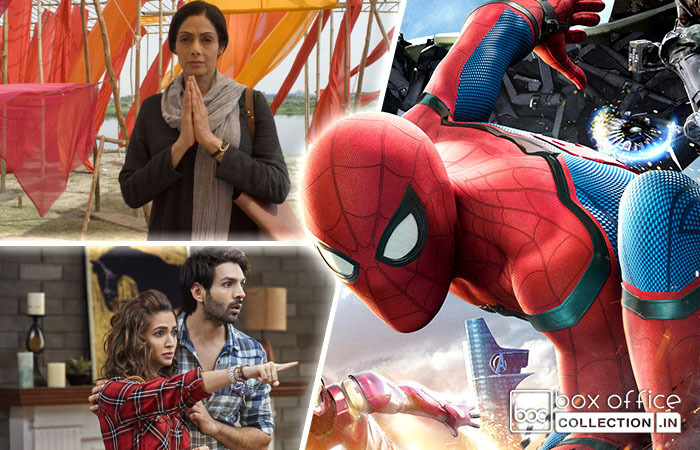 As expected, the two new Hindi offerings – Mom & Guest Iin London faced strong competition at Indian box office, due to highly buzzed American action adventure movie Spider Man Homecoming. The Hollywood’s one diverted major segment of audience toward itself and now leading with good difference. 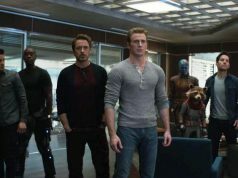 Once again the growing craze of Indian audience for Hollywood movies, has resulted in a loss for Bollywood’s offerings. 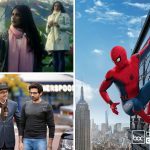 Tom Holland – Robery Downey Jr. starrer Spider Man Homecoming has recorded good occupancy and also received positive reviews from critics as well as audience. Released with high initial buzz, the movie fetched the amount of 2.16 crores on Thursday from it’s paid premiers. 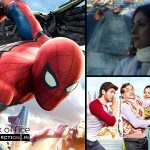 On Friday with overall 40% of occupancy, Spider Man Homecoming bagged the amount of 7.20 crores and registered the opening business of 9.36 crores nett (13 crores gross). 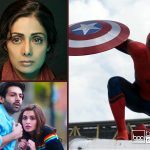 On the other hand, veteran actress Sridevi starrer Mom is a suspense thriller and marks her comeback after a long gap in Bollywood. Directed by Ravi Udyawar, it also stars renowned actors Nawazuddin Siddiqui and Akshaye Khanna in pivotal roles. Because of good content and brilliant performances, Mom has received positive reviews from critics. Also the audience is reacting in it’s favor, which has generated positive waves about the movie. 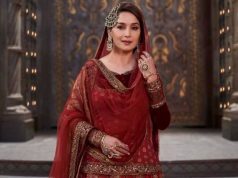 On the opening day, Mom opened with an average occupancy of 25% for morning shows on 1350 screens across the country including Hindi, Telugu, Tamil and Malayalam versions. With slight growth over evening and night shows in multiplexes, it registered the opening of 2.90 crores. While Kartik Aaryan, Kriti Kharbanda, Paresh Rawal and Tanvi Azmi starrer comedy drama Guest Iin London remained at the back foot. Directed by Ashwni Dhir, it is the second installment from the franchise that was began with Atithi Tum Kab Jaoge? in 2010. 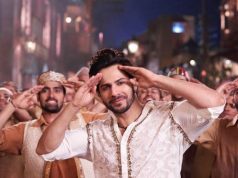 On the first day, Guest Iin London recorded below average occupancy of 10-15% and garnered the opening business of 2.10 crores only. Although it has received negative reviews from critics but viewers are giving mixed reactions, so there is a little chance for it to register decent weekend.